The 2014 Design-a-Hole Finals are upon us, and our DAH judges have narrowed a group of more than 100 down to ten. Over the next two weeks, we will reveal one finalist each weekday. 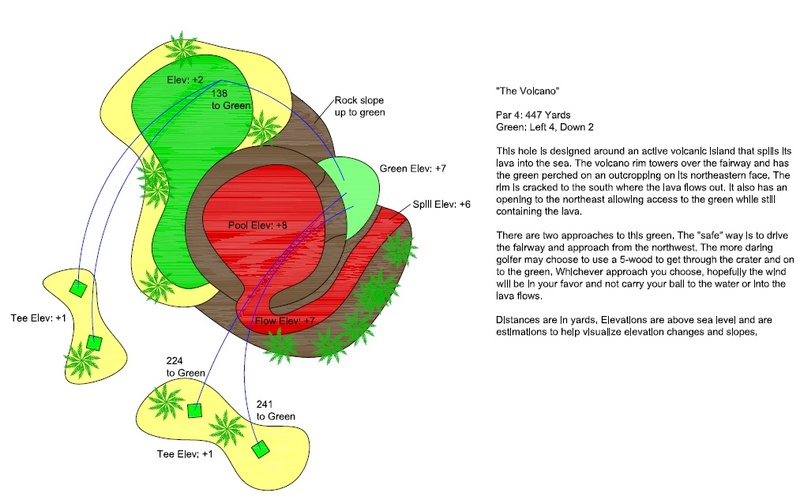 Once you’ve seen and studied the design, your thoughts are both welcomed and encouraged on the Golden Tee Facebook Page. Our judges will then assess all feedback submitted while reexamining each design, and they will pick a winner in a matter of weeks. All finalists will walk away with at least a $50 Gift Card, and you will be contacted once all designs have been revealed if your submission has been chosen. Once again, thank you to everyone who spent the time to both create and submit an entry. Narrowing it down was no easy task. Next up, a new surface makes its way into the mix on a delicate par-4. You probably don't want to go short here (or right), just a heads up. Click to enlarge. What do you think? 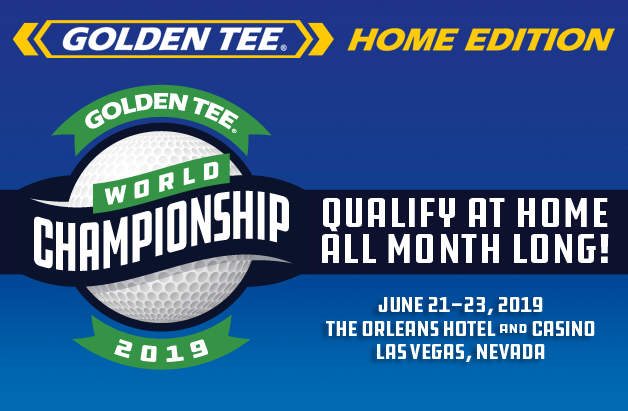 Share your thoughts on the Golden Tee Facebook Page?